Weddings bring so many people together. 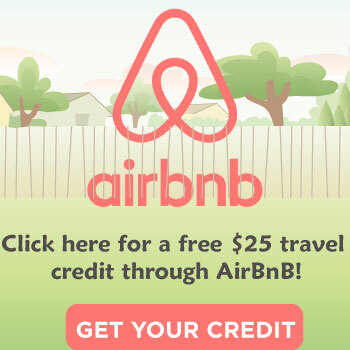 You have the parents of the bride and groom, bridesmaids, groomsmen, ring bearer, flower girl, and more in the wedding party. 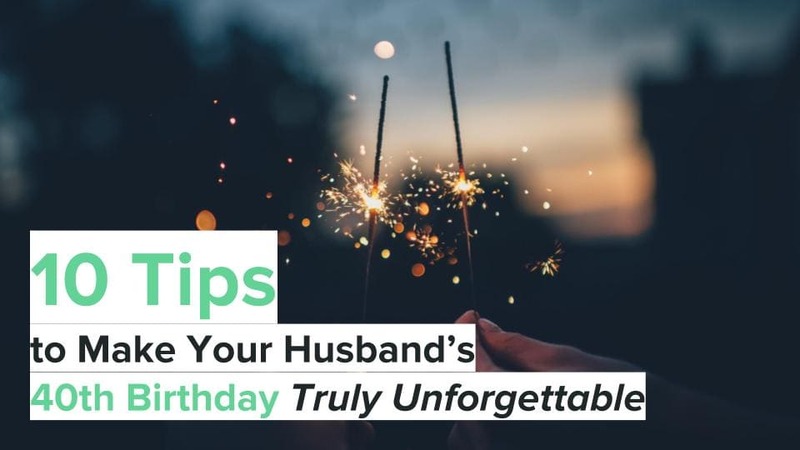 It is a hectic time in your lives, but at the same time, that extra little gift for those taking part in the wedding can mean so much! 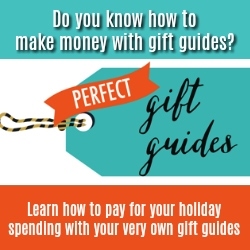 Make him feel extra special with one of these epically cool gifts pictured below. 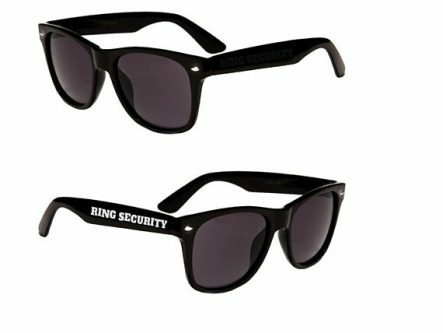 The most adorable ring bearer needs “ring security” sunglasses for sure! 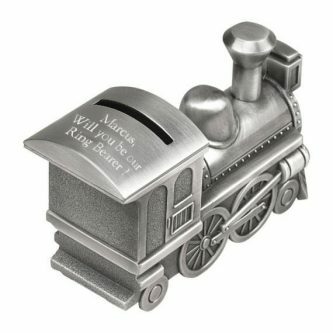 This personalized train bank may just help him save for college someday. 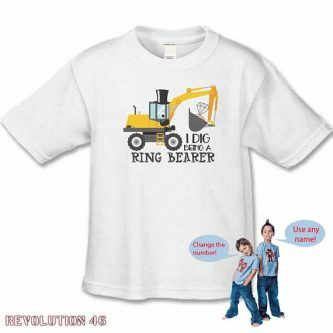 He loves being a ring bearer so much that he “digs” it. 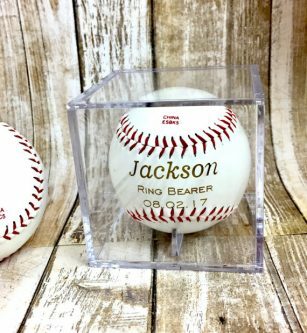 He will cherish this personalized engraved baseball for a long time. 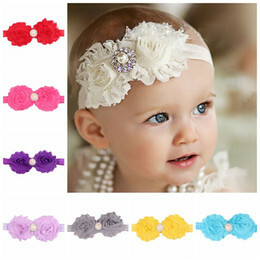 Well, there isn’t much to do about it, chicks really do dig the ring bearer, especially the flower girl! 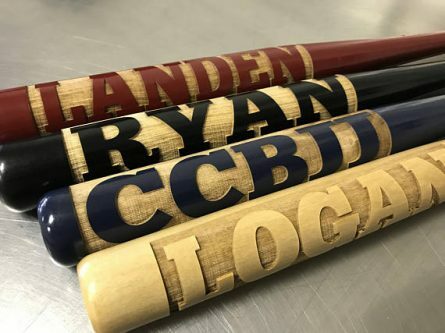 You can’t have the laser-engraved baseball without the personalized wooden bat that comes in your choice of color! 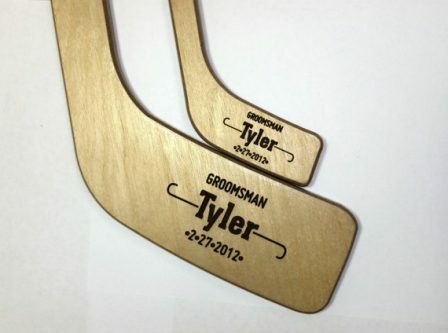 What a lovely keepsake is this engraved mini hockey stick for him to hold onto as he grows up! 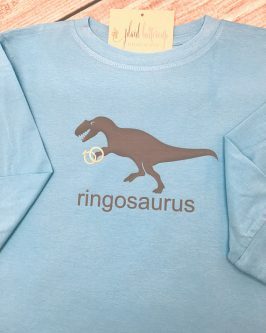 If he loves dinosaurs, he will go crazy for this “Ringosaurus” dinosaur shirt. 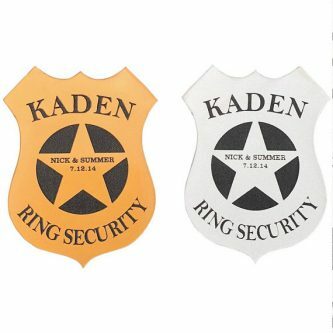 Every ring bearer needs a security badge that is personalized with their own name, and lets everyone know that when it comes to the ring, they mean business! 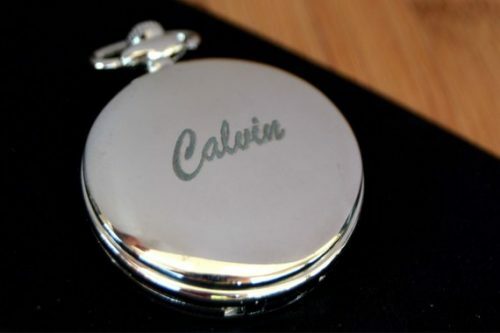 A personalized pocket watch is something he can use as he grows up and well into adulthood! 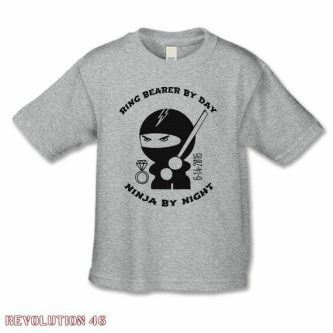 He is a ring bearer by day, but when night comes, he turns into a super cool ninja. 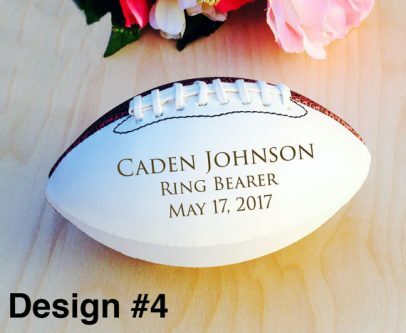 Whether he plays with this engraved football, or it sits on a shelf as part of his room decor, it is something that will make everyone smile for a long time to come. 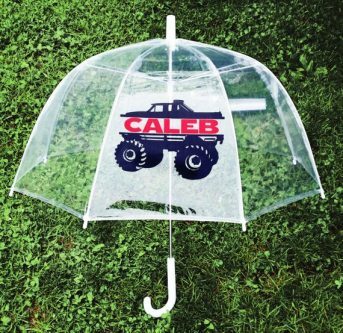 Keep the ring bearer dry with his very own customized monster truck umbrella. 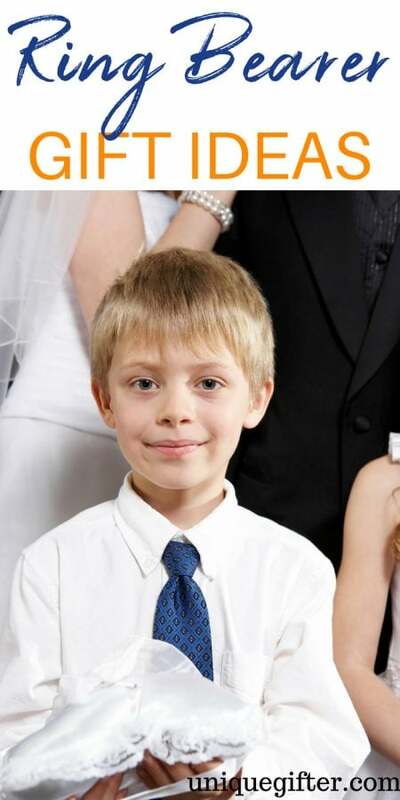 He definitely needs to stay hydrated so he can stay on top of his ring bearer duties. 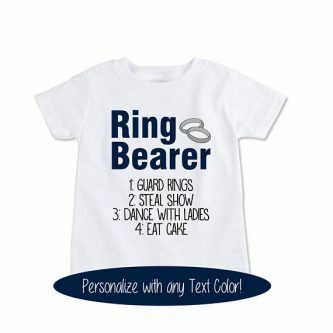 This ring bearer wedding checklist shirt is super funny! 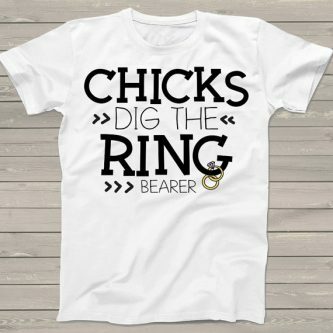 If the ring bearer you chose is funny like this shirt, it will keep everyone laughing. 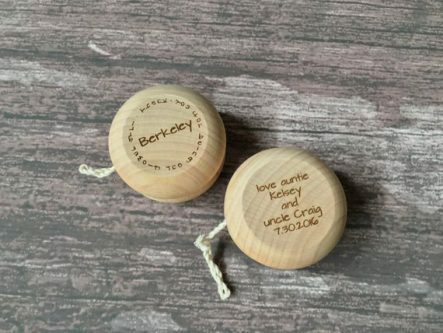 Every kid needs a yo-yo, and as a part of your wedding party, the ring bearer definitely needs this wooden one that you can have engraved for him. 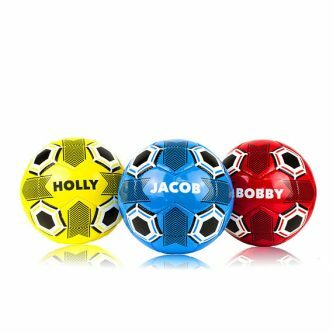 A lot of kids love sports, and there are a lot of things in this list that have to do with sports, so we can’t leave out the personalized soccer ball for the ring bearer in your wedding party. 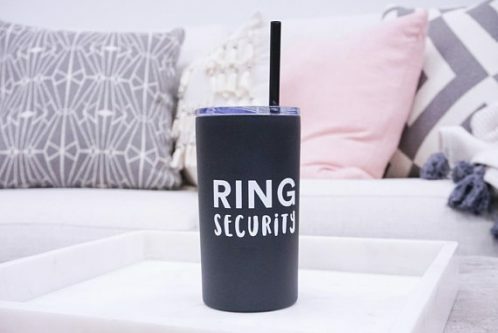 He is a superhero because he keeps the ring safe down the aisle. 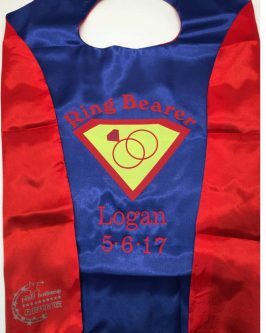 He can even wear this superhero cape while he carries the ring, if that fits your wedding! 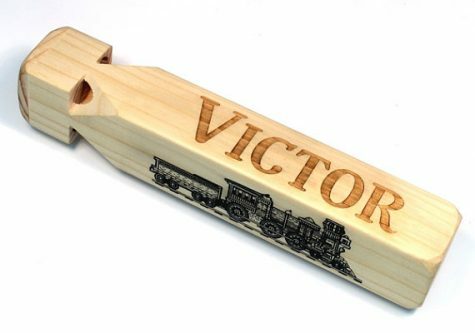 While it may drive his parents crazy, this personalized wooden train whistle is definitely entertaining. 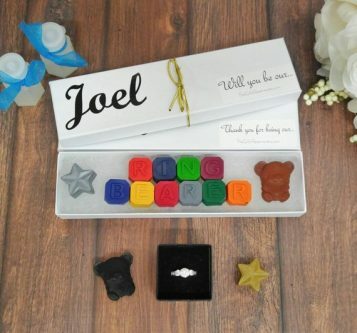 Your ring bearer deserves something fun as a thank you gift for him being in your wedding and for doing such an amazing job in his role!